The power of model-based engineering is the ability to visualize, analyze and design all aspects of a system. Being able to view and manage information and data alongside other models of a system provides great clarity and reduces the chance of error. Enterprise Architect has extensive support for the data modeling discipline, ranging from the representation of information in a conceptual model right down to the generation of database objects. 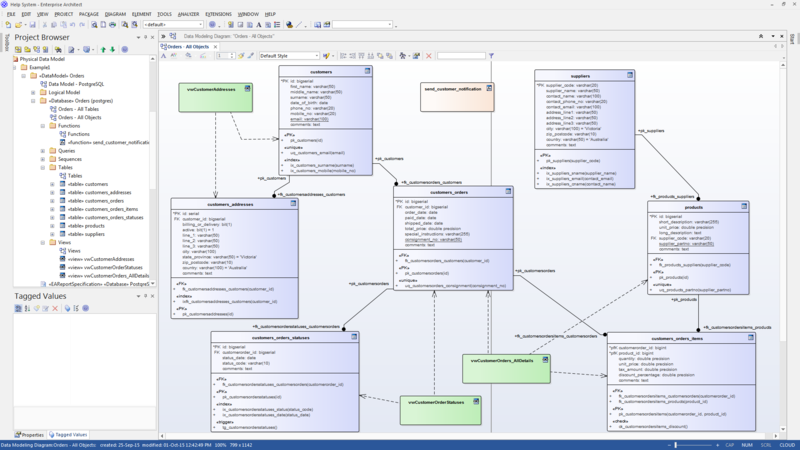 Whether you are generating database objects from the UML model or reverse engineering legacy DBMS into a model for analysis, the tool features will save time and valuable project resources. Enterprise Architect supports the modeling of information at the conceptual, logical and physical layers. Using a number of standard features, these models can be interconnected, providing traceability. 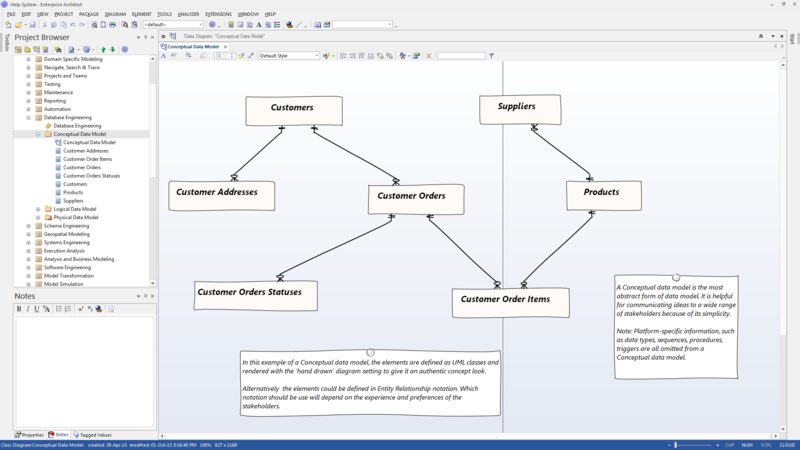 The logical and physical models can also be generated automatically using a fully customizable Transformation engine. Legacy systems can be imported, analyzed and compared using the powerful reverse engineering facility. 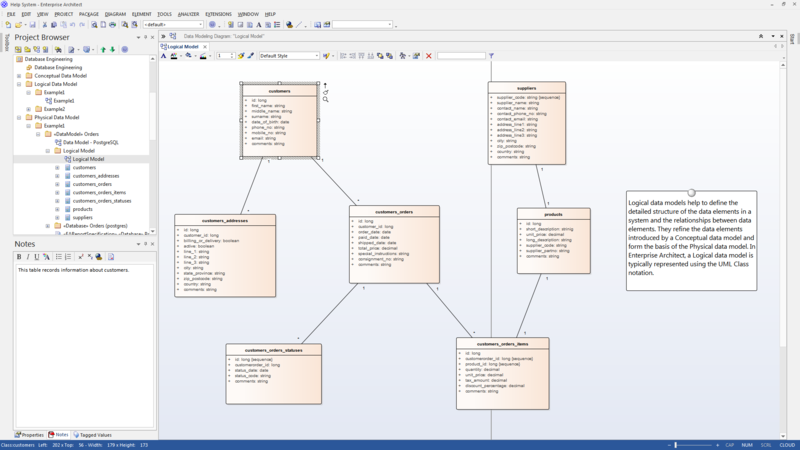 This collection of images highlight the main methods for modeling databases in Enterprise Architect, Conceptual, Logical and Physical. 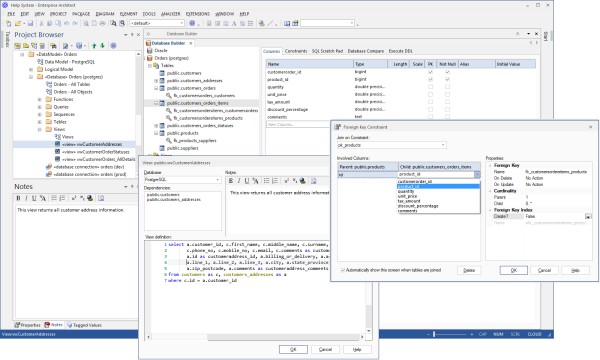 The Database Builder tool can be used to create and maintain physical data models and can connect to a running DBMS, so you can therefore import, generate, compare and alter a live database.